Keep your babies and small children safe in your home by using assorted child and baby safety items available at The Online Drugstore. 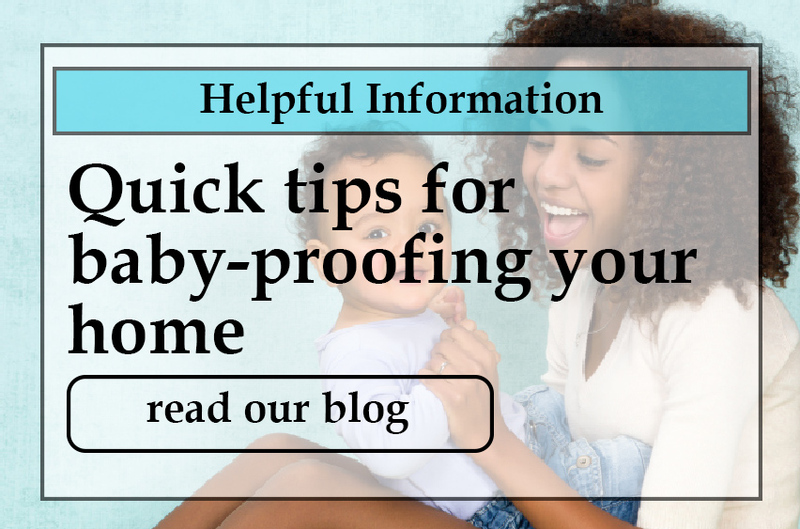 Our available products include the typical collection of baby proof items, such as cabinet locks and safety covers that are placed on electrical outlets. We also carry nursery monitors that allow you to hear everything that is taking place inside your baby’s room or nursery. As many parents know, babies and small children love to explore, and there are many items in the home that may seem harmless but can be very harmful to young children. Electrical outlets seem to be a magnet for young explorers since they're at the same level, and infants and small children can easily be shocked if they touch an outlet with a finger or foot. Electrical shocks can be minor or they can cause death. There is no need to take a chance when there are affordable child safety products on the market to keep safe. Electrical outlet safety guards are plastic and are “plugged” into a wall outlet to provide a barrier over the outlet. When a baby or small child touches the outlet, she will be touching the plastic guard rather than the outlet. Parents are also wise to keep babies and children from opening lower cabinets in kitchens and bathrooms, as these are the cabinets that are typically used to store cleaning materials. Plastic cabinet locks are an easy way to keep young children from opening cabinet doors while allowing you to have easy access to these storage spaces. All of the child and baby safety items at The Online Drugstore are priced lower than retail, giving you a cost savings, and all items are shipped very fast. We have great products and outstanding prices, combined with the convenient shopping that you will not experience in retail store.